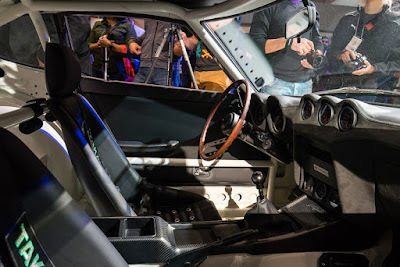 You might be remember with "Han" one of the 'Fast and Furious' movie role characters who played by Korean-American actor, Sung Kang, Turns out, he not only experts assemble cars in the movie, but also good at designing cars modification in real life. 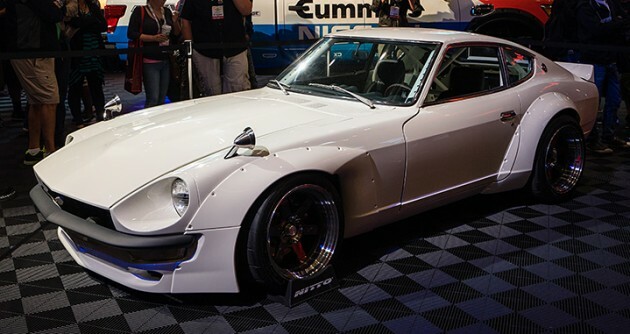 At the SEMA Show 2015, he was supported by GReddy, Tra-Kyoto and HiTech has made a modification car called, 'Fugu Z' by taking the 1973 Datzun 240 Z as the base car. Sung Kang brought his old Datsun car into his garage since 15 years ago in good condition. The actor was in cooperated with GReddy for designing a car that can be used as a daily or racing vehicle. The first composition done by replacing the Datsun's chassis with the McKinney's design. Coilover suspension of the Techno Toy Tuning also pinned in under the fender. Even the 6 points roll cage of GReddy also pinned in the cabin for the safety of the driver and passenger while drove on the racing track. As for the interior sector also modified and inspired by the world of racing. 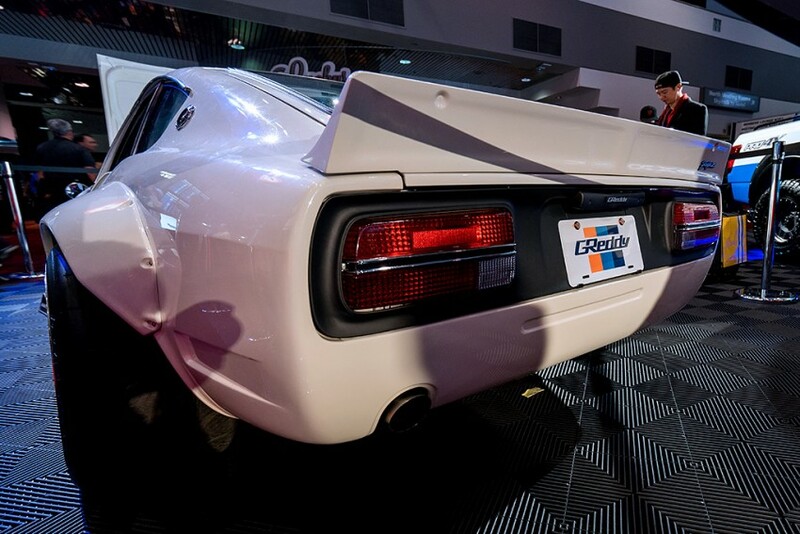 For the exterior, Kei Miura, a Tra-Kyoto's designer has also been ordered the Rocket Bunny body kit prior to reform to make the Datsun looks more manly. Then do the painting work with the Datsun 904's original white color. As for the legs, Restomod apply 4 Volk Racing TE37 wheels that wrapped with Nitto tires. 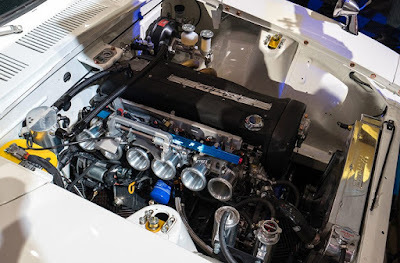 The engine which mounted under the front hood is a Nissan engine coded RB26DE 2,6L N/A 6 cylinder. Do not stop there, the machinery sector is also loaded with the other performance support spare parts, including of the GReddy which can improves the engine performance up to 217 hp/245 Nm. 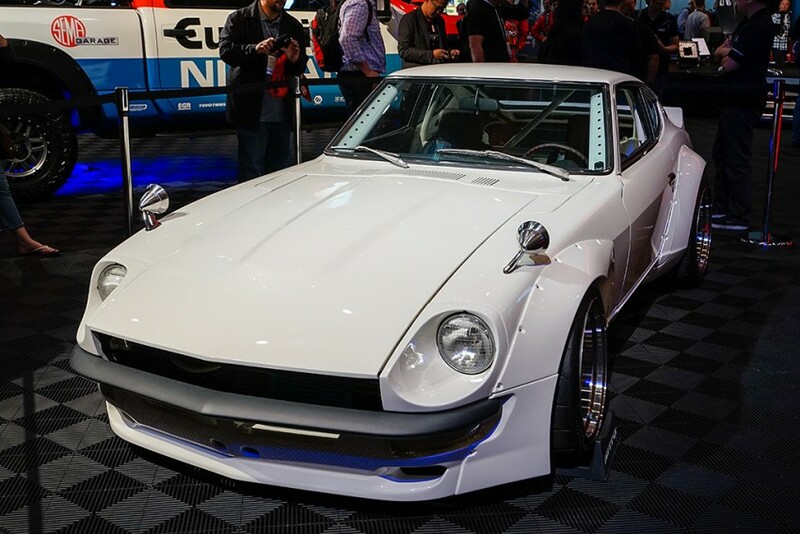 Sung Kang himself dubbed his car with nickname Fugu Z, the (Fugu) name taken from the poisonous blowfish in Japan. These fish is one of the delicious culinaries for the Japanese people, but must be careful in consuming these fish, because their poison is dangerous. And this is also a warning to automotive lovers, if You doesn't prepare the car properly and carefully, of course it can be kill You.